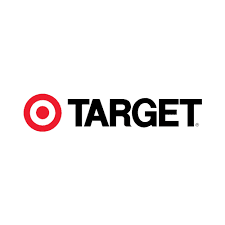 A Target eGiftCard is your opportunity to shop for thousands of items at more than 1,700 Target stores in the U.S., as well as Target.com. From home décor, small appliances and electronics to fashion, accessories, and music, find exactly what you’re looking for at Target. No fees. No expiration. Target Corporation (also known simply as Target) is the second-largest discount retailer in the United States, behind Walmart, and is a component of the S&P 500 Index. Founded by George Dayton and headquartered in Minneapolis, Minnesota, the company was originally named Goodfellow Dry Goods in June 1902 before being renamed the Dayton's Dry Goods Company in 1903 and later the Dayton Company in 1910. The first Target store opened in Roseville, Minnesota in 1962, while the parent company was renamed the Dayton Corporation in 1967. It became the Dayton-Hudson Corporation after merging with the J.L. Hudson Company in 1969, and held ownership of several department store chains including Dayton's, Hudson's, Marshall Field's, and Mervyn's. Wesfarmers began operating an Australian version of Target in 1973, although aside from naming rights, the American and Australian companies are unaffiliated.